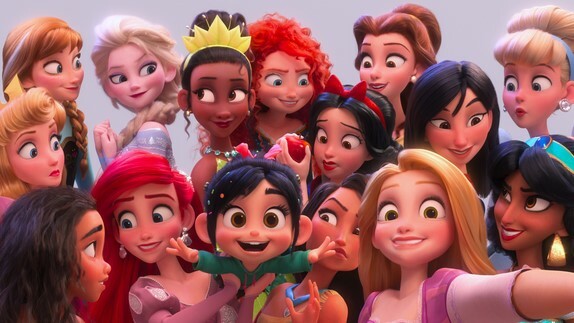 My kids have been talking about the new Wreck it Ralph film for months- there have been lots of heated discussions over which Disney Princesses should be in the film! So I can’t wait to take them to finally see it. Over the years there have been many rumours about a Mary Poppins sequel. 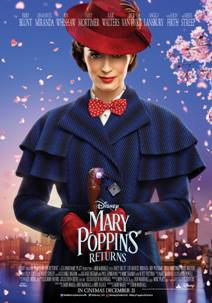 Then in early 2017, production began on Mary Poppins Returns. I have been so excited since then. 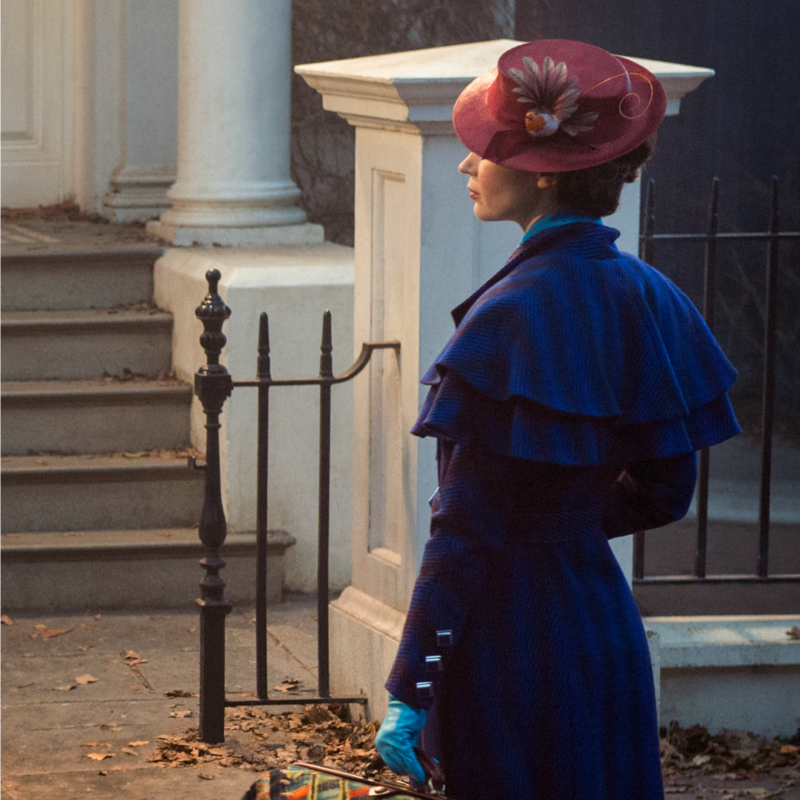 When Disney released the first look at Mary Poppins Returns it felt like we had a long wait ahead of us. Now I can’t believe that we’re only weeks away. For me it is the film of Christmas 2018. 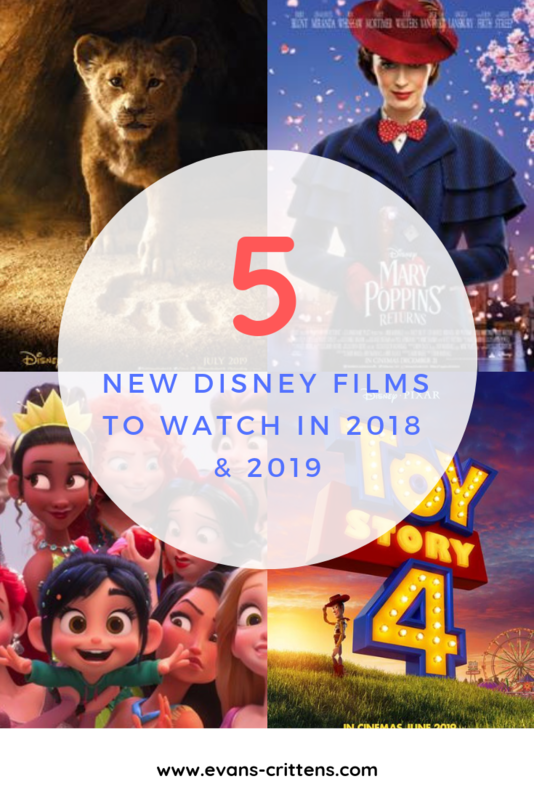 Mary Poppins was one of my favourite childhood films, we love the books and the Mary Poppins Musical stage show and now I feel my kids will have a Mary Poppins film for their generation. I was sixteen when the first Toy Story film was released. Thankfully I had a younger sister so I had an excuse to see it! Toy Story 2 was released in 2000 just a few years before Danny was born. He grew up watching the Toy Story and Toy Story 2 movies on DVD. When Toy Story 3 was released in 2010 he was so excited to get to see it in the cinema and Rebecca was just old enough to watch it too while I sobbed all the way through it holding a toddler Caitlyn. 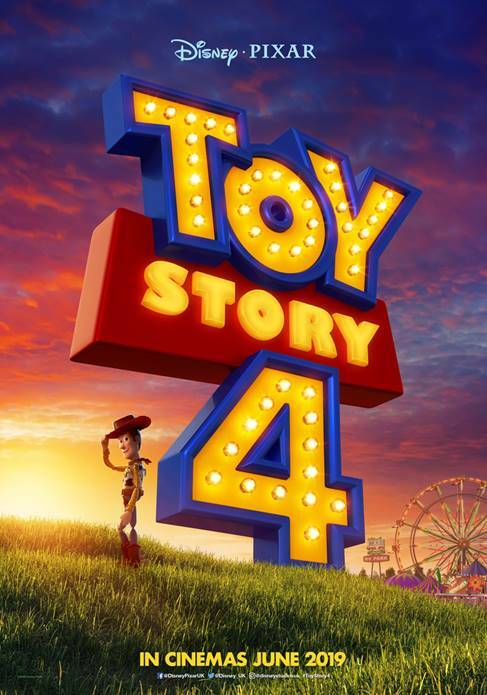 Now Toy Story 4 will be Izzy’s film! 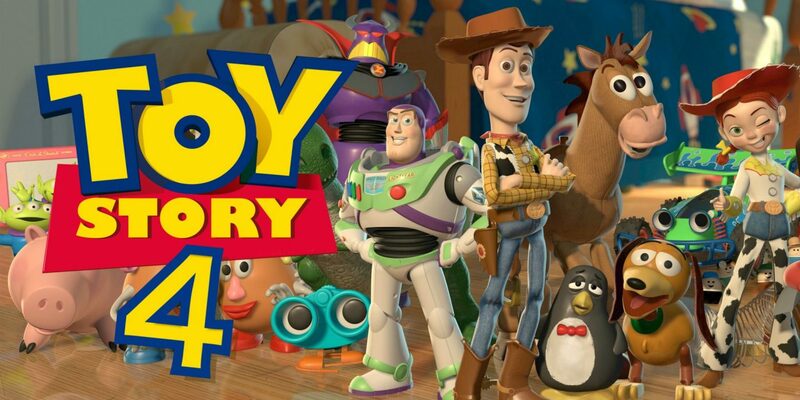 I must make sure she watches the previous films ready to see Toy Story 4. It’s going to be an emotional one (yes, even more so than usual) so make sure you pack tissues! We took my younger sister to see the original animated Lion King in 1994. It’s such a beautiful film but it always makes me sob. 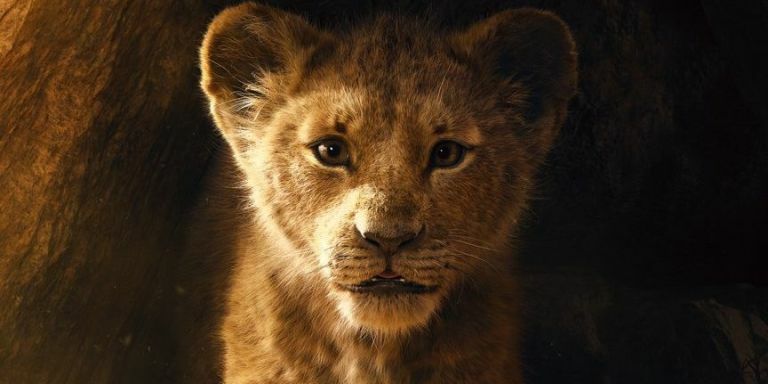 The “live action” film looks even more sumptuous and I can’t wait to take the kids to see it (but will definitely need lots of tissues). Danny and Caitlyn enjoy the Artemis Fowl books so are very happy to see it’s being made into a movie. I used to read the books along with Danny when he was younger but never fully got into them as I wasn’t hearing the whole story. Therefore I’m looking forward to watching the film to understand more of what Artemis Fowl is about. 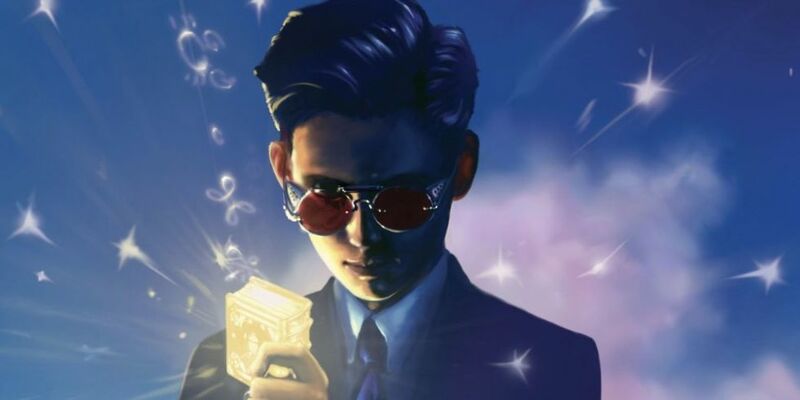 Based on the first book of Eoin Colfer’s best-selling series of the same name, and directed by Kenneth Branagh, Disney’s Artemis Fowl has begun principal photography and will film in England, Northern Ireland and Ho Chi Minh City. The book was adapted for the screen by award-winning playwright Conor McPherson. 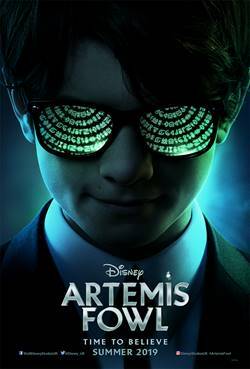 Descended from a long line of criminal masterminds, 12-year-old genius Artemis Fowl finds himself in a battle of strength and cunning against a powerful, hidden race of fairies who may be behind his father’s disappearance. Newcomer Ferdia Shaw plays the title character, with Lara McDonnell (Love, Rosie) playing Captain Holly Short, a feisty, spirited elf, who is kidnapped by Artemis for a ransom of fairy gold. In the underground fairy world of Haven City, Academy Award®-winner Dame Judi Dench (Skyfall) plays Commander Root, the leader of the reconnaissance division of the LEPrecon, the fairy police force, and Josh Gad (Beauty and the Beast) plays Mulch Diggums, a kleptomaniac dwarf, who attempts to help rescue Holly. Above ground, Nonso Anozie (Cinderella) plays the Fowl family bodyguard, named Butler, and Tamara Smart (The Worst Witch) plays Butler’s niece Juliet. Miranda Raison (Murder on the Orient Express) plays Artemis’ mother Angeline. Other members of the cast include Josh McGuire (About Time), Hong Chau (Downsizing), Nikesh Patel (London Has Fallen), Michael Abubakar (Trust Me), Jake Davies (A Brilliant Young Mind), Rachel Denning (Doctor Who), Matt Jessup (Dread), Simone Kirby (Alice Through the Looking Glass), Sally Messham (Allied) and Adrian Scarborough (Les Misérables). Branagh brings back several members of his creative team, including Haris Zambarloukos, director of photography; Jim Clay, production designer; Patrick Doyle, composer; and Carol Hemming, hair and makeup designer—all of whom worked on Branagh’s 2017 directorial project, Murder on the Orient Express. The costume designer is Sammy Sheldon Differ (Assassin’s Creed), and the film will be edited by Martin Walsh (Wonder Woman). 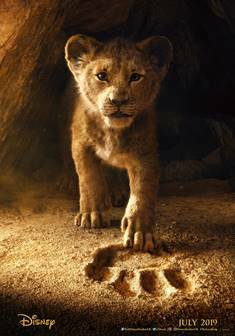 The film is produced by Kenneth Branagh and Judy Hofflund, with Matthew Jenkins and Angus More Gordon serving as executive producers. Which Disney movies are your favourite? 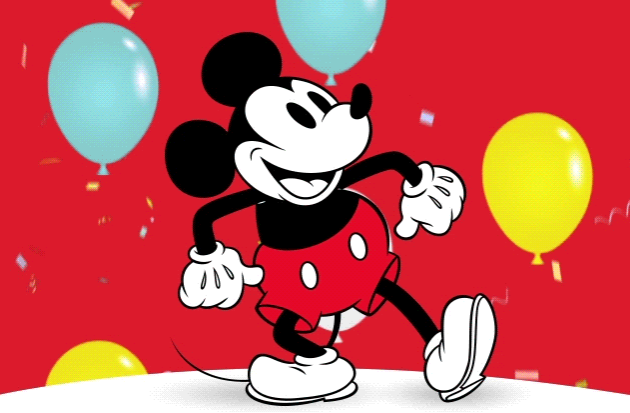 Which upcoming Disney films are you most looking forward to?